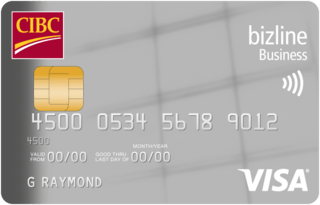 CIBC Bizline Visa is typically available to those with good credit scores (650 or greater). Yes Have a minimum personal income of $35000. If being charged a 20% interest rate is something that makes you lose sleep at night, you should really consider getting a low interest business credit card like the CIBC bizline Visa Card for Small Business. This card has no annual fee and will give cardholders a rate as low as Prime + 1.5%, which is pretty impressive. However, the interest rate you are given does depend on your personal credit score and can go up to Prime + 13.0%.